Nothing scares most authors more than the first book signing. What if no-one shows? Will people take me seriously? What am I going to talk about? I have to have my picture taken? Here are some tips to help the signing go smoothly, and also to stretch the value of this awesome opportunity as far as possible. Book signings are not all about selling books (though that’s a nice added bonus), they’re about connecting with bookstores and local businesses, gaining press coverage, networking offline, and getting good pictures for your author website! 1. Have marketing materials ready to hand out. Even if people aren’t ready to make a purchase on the spot, they can take home a flyer, business card or marketing sheet. This is great if they prefer to purchase e-copies of the book. 2. Don’t sit behind the table. This is the intuitive place to sit, but this automatically puts a distance and height difference between you and everyone else. This can be intimidating to anyone tempted to come and talk to you, so instead sit or stand in front of the desk and keep your body language open and ready to talk to passers-by. 3. Hold something – If you’re not naturally extroverted or chatty, hold something – your book or a flyer – as a conversation starter. 4. Sweeten ’em up!! Don’t underestimate the power of candy and chocolate for attracting people to your table, especially children. When their parents come to find them, guess what, you have new people to talk to! 5. Take a guestbook. Have people leave a short message along with their email address in a guestbook/ notepad. After the signing you can email each person individually and thank them for their message, along with links to your social media accounts and website. A great way to build your online presence, offline! 6. Take pictures. Photos make great content for a blogpost, provide visuals for your FB page, and add credibility to your press page/ author website. 7. Invite a couple of friends or family members to hang out for the duration of the signing. This will mean the table will never be deserted and you’ll feel more confident. Be sure not to alienate potential readers by engaging too closely in conversation with your friend though; be open to visitors. 8. Contact the press. 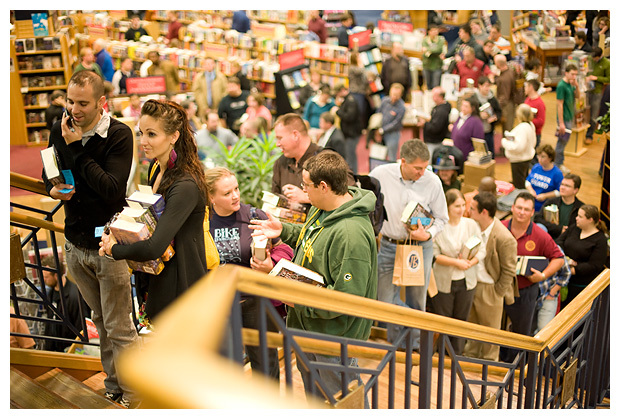 Book signing events are the perfect time to get some PR and coverage in local media. A week before the signing, send out a press release with a personalized email to local newspapers and magazines, addressing the person who usually covers the events section. Ask the bookstore or cafe holding the signing if they have any press contacts they can notify too. Ask to be added to the publications’ ‘What’s on” calendar, too. 9. Bring a small gift for the book store/ cafe owner. They’ve spent time and energy putting together the event so it’s time to say thanks! It’s always worthwhile nurturing these relationships by showing your appreciation. Flowers, chocolates or a giftcard along with a handwritten thank you note go a long way. 10. Bring supplies – lots of pens and a small notebook to have people spell out their names in.